Geist! Page 54 – Geist! That pattern looks familiar for some reason. 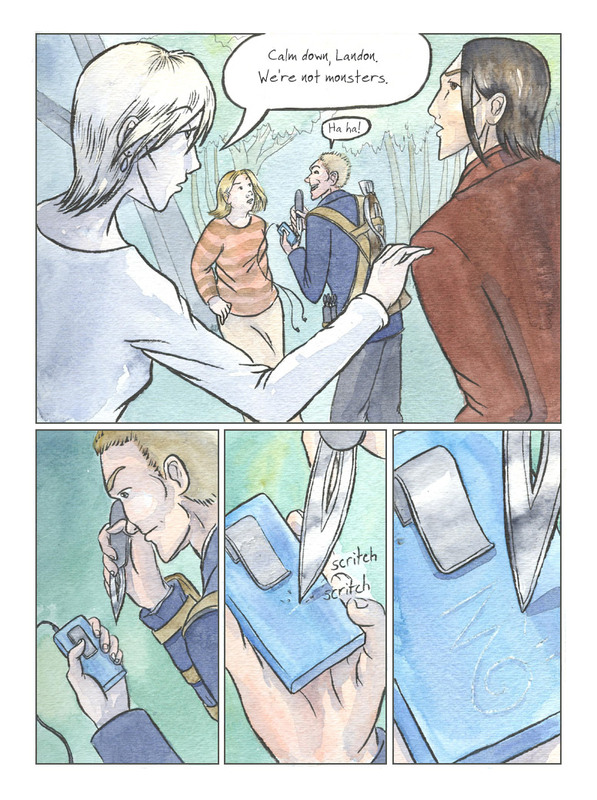 In a world like the one this comic has, I’d probably jump to the conclusion that it has something to do with geists, and thus extra reason to sand/buff the case, or ditch the iPod. …Although, at this point, I could try to make that guy pay for a new iPod. He stole then damaged it, and thus is legally applicable to pay for a replacement. After all, I’ve got nothing better to do with my time, and I’ve never sued anyone before. But of course, I’m not female so it may be a little hard to take the place of that person without someone noticing.